Protect Your Business And Property With Perimeter & Security Lights. Our solar powered perimeter and security lights provides reliable lighting and requires low maintenance – which is optimal to be installed at hard-to-access locations. The bluetooth on the fixture allows you to remote monitor the lights to make sure they work all the time. At Greenshine New Energy, we offer state-of-the-art systems perfect for perimeter & security lighting. In our Supera, Brighta, and Solar Power Generator series’, you’ll find high quality LED fixtures that couple with solar panels for maximum efficiency and savings. Made of high quality, durable materials, these systems offer reliable lighting for narrow to wide areas and can withstand a variety of harsh weather conditions. Supera Series – solar lighting pole featuring a 60-80 watt cobra head style LED fixture with 2 solar panels. Our solar perimeter & security light fixtures use CREE LEDs to provide a wide range of lighting intensity and distribution pattern depending on the environment. We provide various fixture styles for your perimeter & security lighting application – from cobra head, dome-shaped top, to decorative style fixtures. GS-LED-290 – a “Cobra Head” style light fixture with modern style elements. 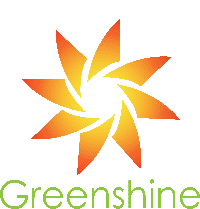 Greenshine provides lighting systems that meets the standard lighting requirements for public areas while avoiding the cost of installation of standard grid-powered lights. Our photovoltaic (PV) panels use Greenshine smart power technology which gives the rechargeable battery up to 6 days of autonomy. Our solar panels are composed of mono-crystalline silicon, which provides more efficient performance and, as a result, our solar perimeter and security lights battery last longer and deliver a better lighting result. Commercial solar perimeter & security lighting powered with solar energy is an efficient way to drastically decrease electricity bills. Our 100% off-grid system helps you save big as it does not require trenching and has low maintenance costs over time. We saved big by installing Greenshine Lights. Sales people very friendly and helpful!